they shall overflow the land and all that fills it, the city and those who live in it. People shall cry out, and all the inhabitants of the land shall wail. to cut off from Tyre and Sidon every helper that remains. 5 Baldness has come upon Gaza, Ashkelon is silenced. O remnant of their power! How long will you gash yourselves? 6 Ah, sword of the LORD! How long until you are quiet? Put yourself into your scabbard, rest and be still! 7 How can it be quiet, when the LORD has given it an order? Against Ashkelon and against the seashore– there he has appointed it. The Philistines, Israel’s ancient enemy, has not played a role in Jeremiah up to this point. There is no reason given for Philistia being caught up in the destruction that is playing itself out in the conflicts of empires, in the rise of Babylon and the fall of Assyria and the diminishment of the power and influence that Egypt could exert in the region. The Philistines are not even a part of the regional powers that are mentioned in Jeremiah 27 and perhaps are plotting together how to throw off the yoke of Babylon. Philistia from her absence in the narrative up to this point seems merely to be caught up in the conflict going on around her. Pharaoh does come up from the South to oppose Babylon and Babylon in its pacification of Judah and Egypt and most major armies when they march show little discrimination about cities, towns and fields that can be plundered. As so many times before the Chaldean/Babylonian forces are portrayed as an irresistible force that cut down all in their way. The poetic language captures this in the desperation of parents who do not turn back for their own children, of two of traditional five cities of Philistia (Gaza and Ashkelon are mentioned, Ashdod is implied in the chapter and Gath and Ekron are not mentioned in this chapter) are shown as mourning (bald heads and cutting themselves) but the mourning is to no effect. Perhaps the sack of Ashkelon in 604 BCE by Nebuchadrezzar is reflected in this text, but again there is no reason other than Babylon as extension of the sword of the LORD has been loosed from its scabbard and it will not be still. There is really no information to understand how the cities of Philistia play into the events of this time, whether they are active players or merely innocent bystanders that become casualties of much larger more powerful forces. Unfortunately war often doesn’t discriminate between innocent and guilty, between civilian and military and all are caught up together in the deluge. 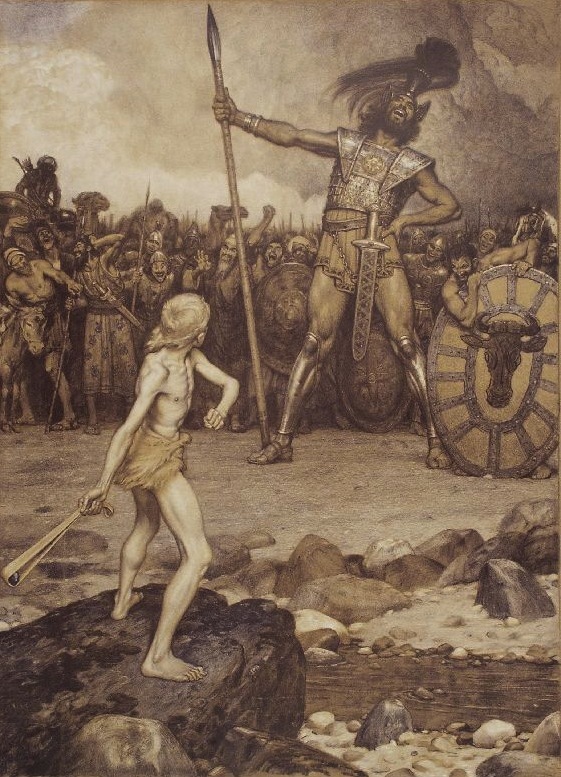 Perhaps the Philistines see their children die for someone else’s sins and the end of the chapter is a cry against the seemingly non-discriminatory judgment where guilty and innocent are caught up in the forces that are unleashed. This entry was posted in Jeremiah and tagged Ashkelon, Philistines. Bookmark the permalink.